- IIS 6.0 Application Server. - My-SQL 5/ SQL Server Data Base Server. - ASP.NET 2.0(C#), Java-Script for application Development. This Module provides information on Operation Schedules, Operation Notes from Nurses, Anesthetist and Surgeons. It maintains Surgical and Medical Stock information. The System provides facility for advance booking and fixing Patient Appointments for Surgery. All concerned can generate daily Surgery schedule in advance for necessary action. Easy Solution Infosystems Pvt. 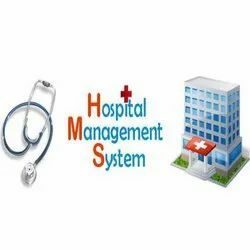 Ltd.
EHMS is the Electronic Hospital Management System . The Electronic Medical Records (EMR) integrates a document delivery system that allows the immediate storage and retrieval of both electronically generated and handwritten material from any terminal in the HMS system. Clinic management system ;- Clinic Managment software designed and developed by Msoft is appropriate for single doctor or a bunch of doctors operating in same clinic or operating in multiple clinics. With Clinic Management Software doctors can access their patient data and history from anywhere in world and on any device. Advanced Hospital Management System is a complete package one needs for a hospital to deal with all the day to day operations taking place. The presented project here is made in view overcoming the problems faced by the Hosptal and Pathelogy Lab regarding Maintainance, Recordkeeping of Patient information, Doctor Information , Financial transactions, Pharmacy, Laboratory and Hospital Inventory etc. Uveous’s HMIS is a revolutionary solution with end-to-end features for simplifying hospital management – all at a cost which provides the fastest ROI. eClinic- Medical Clinic Management System has been designed and developed for Healthcare organizations, to provide the finest automation and messaging systems. The solution being reliable and scalable, has been designed keeping in mind today's complex processing requirements and stipulations. Hospitals face many challenges such as cost-overruns, reduced margins, long receivable time, growing cost of infrastructure, fast changing healthcare industry requirements, demand for integrated patient information across the hospital and ever increasing IT expenses just to name a few! Nova Terra Technologies Pvt. 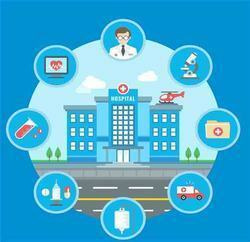 Ltd.
NIS-HMS is very comprehensive product that provides end to end solution for complete Hospital Management. It seamlessly manages the business and clinical aspects of a healthcare environment. NIS-HMS has easy and quick workflow oriented approach for Doctors, nurses and medical staff to effectively manage their time and resources.